It seems life and other work requirements are getting in the way of my normal Sunday and Monday recording times so I’m going to switch it up to Record / Release the podcast on Tuesdays for now. Not that it matters too much, but I want to keep you in the loop. Follow up from my favorite snow covered mailman, Abner from Boston. Question for you, my listeners… Do you use Android to listen to podcasts? What software do you use (podcatcher)? I gave my last remaining android device to my Nephew at Christmas time. I don’t really see a NEED for me to have one. On facebook there was someone asking about microphones (isn’t there always?). There was one guy that was insisting that dynamic mics pick up more noise and that his condenser mic didn’t. I was saying he has that backwards. He couldn’t be convinced. So I’m going to demo the difference here. Voicemail from Dave Jackson of the School of Podcasting. Podcast Channels – Good for a second podcast feed on the same wordpress site. Also good if you do Video and Audio. You can have an audio channel and a video channel feed. Much more robust than Category Podcasting. Less room for error. Also the BEST way to add a second podcast to your site after you have established a podcast on the default channel. Category Podcasting – not a fan. 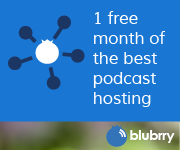 You can run more than 1 podcast from one wordpress blog with categories. 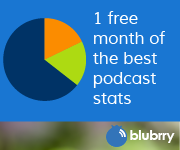 Not needed if you only have 1 podcast on your site. Will not work if you want to keep your default podcast feed and want to add a show. All shows will go out via the default feed no matter which category you have them in. You can still use channels with categories. Just use your category to organize your posts and the channels for your rss feeds. Question: Transitioned to a new website, and trying to change the URL that our podcast pulls from. It comes from our old site but I can’t find a place to update it to the new platform – currently using Soundcloud for files. help! Answer: It totally depends on what feed you submitted itunes and all the other directories. If you sent them soundcloud’s RSS feed, then you would need to contact them to forward your RSS feed to your new website’s RSS feed. If you just moved from one wordpress site to another. then you can do a 301 redirect of your old RSS feed to your new RSS feed. Post Type Podcasting? – What is it good for? Post type podcasting is something relatively new to powerpress. What post types are is a little hard to explain but here I go. If you look at your wordpress dashboard’s sidebar, you see where it says “pages” and where it says “posts” Well, in way, the “posts” are a post type. So in theory, you can add a post type (using a plugin that adds these) so it would say something like. Pages, Posts and another one with say “Shows” (don’t use podcast because of the slug problem). So when you want to post a show, you would make a new post in the shows area instead of the Posts area. This posts area would have a feed for the text of the posts similar to your site feed in wordpress for posts. Powerpress would add podcasting and a podcast only feed. I’m just beginning to experiment with this feature so I don’t have all the answers yet, but it has some interesting uses (I think). I will report back when I’ve played with it more.